Have you looked in the mirror and noticed deep wrinkles between your eyebrows and running across your forehead? Do you have fine wrinkles that spread outward from each lateral eye? Are there noticeable bands running down your neck from your chin when you smile? If so, you may be an excellent candidate for wrinkle treatment (Dysport, Botox) injections by Munster, IN board certified Plastic Surgeon Doctor Jason Petrungaro. Botulinum toxin (Type A) is a prescription cosmetic injection that reversibly blocks nerve signals that cause muscles to contract. This effect relaxes and smooths the look of lines and wrinkles on the face, most commonly between the brows, crow’s feet around the eyes, and horizontal forehead creases. It is also used cosmetically to balance uneven facial expressions and relax tight neck bands, as well as medically to reduce perspiration and to treat migraine headaches and muscle spasticity. Botulinum toxin has been used safely for many years to smooth facial lines and wrinkles, and the FDA approved it for cosmetic use in 2002. 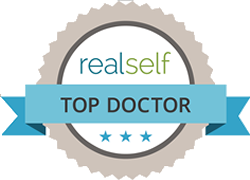 It is by far the most popular nonsurgical cosmetic procedure in the United States, with over 3.7 million patients treated in 2013, according to the American Society for Aesthetic Plastic Surgery. The two most common brands of botulinum toxin used in the United States today are Botox and Dysport. Both treat the exact same thing (namely, facial wrinkles), both cost about the same, both last about the same amount of time, and both produce excellent results. It is your surgeon’s preference as to which product is used. 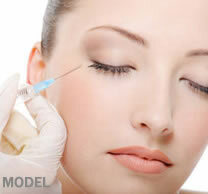 Who is a candidate for botulinum toxin injections? Botulinum toxin treatments can be done in a few minutes with minimal discomfort and usually last between 3 to 6 months. It is not only quick and extremely effective, but also cost-effective, as it is often an early alternative to more invasive surgical procedures. Certain wrinkles or creases in the face caused by the weakening or drooping of the soft tissues, such as the nasolabial folds, which extend from the sides of the nose to the corners of the mouth, are generally best treated with dermal fillers, fat grafts, or surgery. It is very common for Doctor Petrungaro to perform both botulinum toxin injections as well as dermal filler injections during the same visit to further improve your results. If you are in good general health, have a positive attitude, and realistic expectations regarding your cosmetic results, then you are most likely a good candidate for this procedure. Injections of botulinum toxin may seem like a simple procedure, since it is typically very quick and takes just a few shots. However, it is both an art and science that only a highly trained and experienced healthcare professional should do. Doctor Petrungaro personally performs all of his injections in order to make sure that the appropriate facial muscles are targeted correctly and the drug is distributed evenly throughout the face. Botulinum toxin injections can usually be completed on the same day as your initial consultation. Doctor Petrungaro will examine your face and listen to your treatment goals, and the two of you will decide what areas you would like to treat. After this he will prepare you and the medication for the procedure. Doctor Petrungaro gladly provides his patients with an effective topical anesthetic ointment that can be placed onto the areas to be injected at no extra charge. This ointment will serve to numb the skin and make the actual injections essentially painless. After the topical anesthetic sets in for about 10-15 minutes, the injection sites on the face will be cleansed with alcohol swabs. The needles used are very short and extremely thin. Depending on the areas of the face to be treated, a number of injections will be needed to achieve the desired result. You may experience minimal redness, swelling, or bruising at the injection sites for a day or two. You can immediately shower and wash your face after the procedure, and application of makeup is perfectly fine the next day. In fact, many of Doctor Petrungaro’s patients come in for their treatment during their lunch break and no one ever knows! You should avoid strenuous activity for the rest of the day, and you should avoid rubbing your face in order to prevent the product from spreading into muscles of the face that you do not want paralyzed. It is important to realize that it takes anywhere from 3-7 days for the botulinum toxin to take effect and smooth out your wrinkles, so your results will not be immediate upon leaving the office. Many patients coming in for first-time treatments will require more product and it may not last as long since the facial muscles have never been treated in the past. With regular, dedicated treatments, many patients will find that they require less product, it works much faster, and it lasts much longer. Are you a Chicago resident seeking wrinkle treatment? 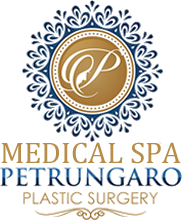 Doctor Petrungaro is a board certified Plastic Surgeon who has successfully completed many years of surgical training in all aspects of facial rejuvenation therapy. He is well versed in the established traditional methods as well as the latest and most innovative techniques. He listens to his patients and respects their goals and wishes, and will always go the extra mile to deliver the most beautiful results possible. If you are searching for a Plastic Surgeon who can provide you with gratifying results from your botulinum toxin injections coupled with the highest standards of patient safety and care, Northwest Indiana and Chicago wrinkle treatment surgeon Doctor Jason Petrungaro will be happy to consult with you regarding this highly effective procedure. 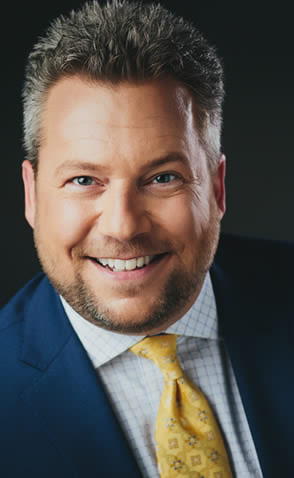 Visit with Doctor Petrungaro in our Munster, IN office for an hour — you will leave knowing you have found the perfect partner in your quest for facial rejuvenation! If you are interested in wrinkle treatments including Botox and Dysport and have questions or concerns, please feel free to call Doctor Jason Petrungaro at (219) 836-1163 or click to schedule a consultation online.